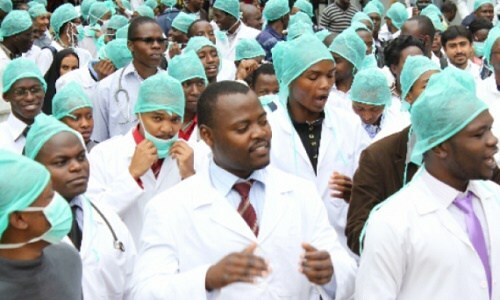 The National Association of Resident Doctors (NARD) has slated a meeting for today in Abuja to consider offers made by the Federal Government.A member of the National Executive Council of NARD, Dr. Arikawe Adeolu, who spoke on the meeting yesterday in Abuja, said that the meeting would critically examine the level of implementation of the agreement signed last week, which would form the basis for the suspension or continuation of the industrial action. Though he claimed that most NARD members are yet to receive their salary arrears as at yesterday (Monday), he expressed optimism that it would be paid within the next few days going by the assurances of the Federal Government. In a similar vein, the conciliation meeting that was scheduled between the three non-academic unions in the universities that include the Non-Academic Staff Union and Associated Institutions (NASU), Senior Staff Association of Nigerian Universities (SSANU) and National Association of Academic Technologists (NAAT) has been shifted to Thursday. Minister of Labour and Employment, Dr. Chris Ngige, insisted that all the parties to the industrial dispute must be present to achieve a holistic negotiation. But the Chairman of the Joint Action Committee (JAC) of the three unions, Samson Ugwoke, said the invitation to the meeting came to the unions too late and that most of their members had travelled out of Abuja and would not be back until mid-week.